Pazopanib is an orally active, multi-targeted tyrosine kinase inhibitor. A previous phase I study demonstrated that coadministration of pazopanib with irinotecan increases the area under the plasma concentration–time curve (AUC) for SN-38, an active metabolite of irinotecan. To clarify the possible mechanism underlying that drug–drug interaction, we investigated the potential for pazopanib to inhibit UDP-glucuronosyltransferase (UGT)1A1 and organic anion-transporting polypeptide (OATP)1B1, which are involved in detoxification and hepatic uptake of SN-38, respectively. Human liver microsomes (HLMs) and recombinant human UGT1A1, and HEK293 cells stably transfected with OATP1B1 were used to evaluate the inhibitory effects of pazopanib against glucuronidation, and hepatic uptake of SN-38, respectively. Kinetic analysis was performed to estimate inhibition constants, which were corrected for non-specific binding to enzyme sources (Ki,u values). Concentration-dependent inhibition of SN-38 glucuronidation was observed in the HLMs and recombinant human UGT1A1 experiments: Pazopanib noncompetitively inhibited SN-38 glucuronidation by HLMs (Ki,u = 1.6 ± 0.05 µM) and recombinant human UGT1A1 (Ki,u = 0.69 ± 0.02 µM). 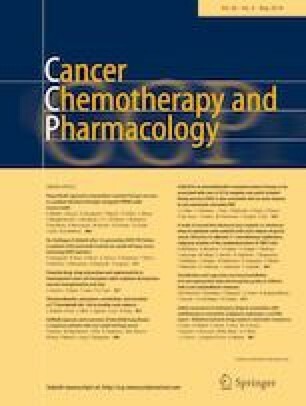 Pazopanib-induced increases in SN-38 AUC estimated using Ki,u values were comparable to those observed in patients of the phase I study who received both irinotecan and pazopanib. Such results suggest that the drug–drug interaction is at least partially mediated by inhibition of UGT1A1. In contrast, pazopanib did not inhibit OATP1B1-mediated SN-38 uptake at concentrations up to 60 µM. Results showed that pazopanib inhibits UGT1A1-mediated SN-38 glucuronidation, but not OATP1B1-mediated SN-38 uptake. This study was supported in part by a Grant-in-Aid for Scientific Research (C) [16K08918 to H.I.] from the Japan Society for the Promotion of Science (JSPS). No human and/or animal studies were performed in this study.